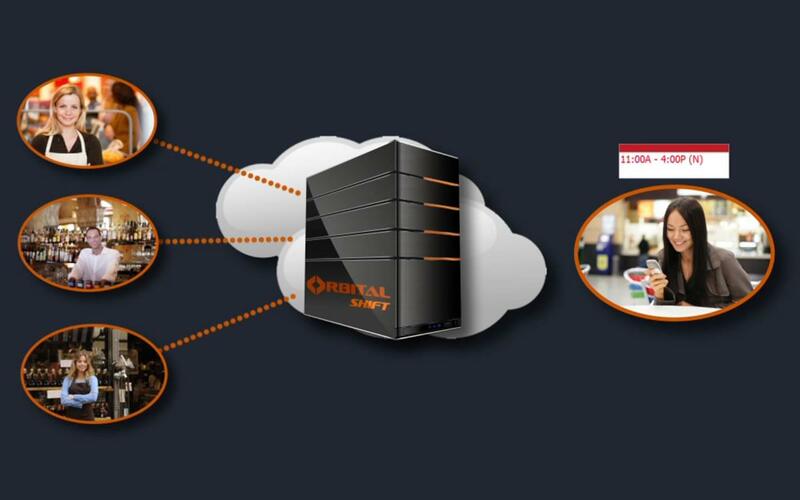 Orbital Shift continues to move aggressively to fill senior leadership positions to keep pace with increased demand for the company's innovative Cloud based solutions for workforce management and employee scheduling. Travis Collins joins Orbital Shift as the Director of Sales with responsibility for global and domestic business development and customer outreach. As a former customer of Orbital Shift during his time as a successful restaurant entrepreneur, Collins is uniquely equipped to help enable businesses and non-profit entities of all sizes to immediately realize the benefits of improved productivity and increased employee satisfaction offered by Orbital Shift’s workforce management and employee scheduling solutions. For eight years, Collins helped build and expand the successful entrepreneurial restaurant company, McKenzie River Pizza, playing a leadership role in expanding the business while being directly involved in day-to-day management of staff, inventory and customer engagement. Subsequent to the successful sale of McKenzie River Pizza, Collins served in leading business development roles at two Montana-based marketing and technology companies. Orbital Shift continues to build its customer base and outreach efforts, funded by increased product demand and the successful closing of its $1.25m round of financing led by Next Frontier Capital and followed by leading angel investors. Orbital Shift provides a cloud based workforce management service that empowers employees and employers with a collaborative approach to scheduling, time clock, workforce budgeting and real-time communications. The service is always available and can be accessed from any mobile or desktop device, ensuring that employees and managers are on the same page and that any changes are easy to make and instantly visible to those who need to know. With hundreds of customers and many thousands of active employees continuously using the service, Orbital Shift has established its position as a market leader in meeting the workforce management needs of employers across multiple industries. The powerful platform, flexible change control and easy-to-use software continues to enable companies to deliver better customer service at lower costs while orchestrating millions of scheduled hours, shift changes and improving employee satisfaction. Headquartered in Missoula, Montana, with offices in Bozeman, Montana, Orbital Shift serves many industries, including: restaurant, healthcare, manufacturing, construction, grocery, lodging, nonprofit and retail among others. The mission of Orbital Shift is to create innovative, employee-focused applications that empower businesses with insightful solutions while helping managers and employees work better together, driving business success today and beyond. Orbital Shift is well positioned with respect to proven product, customer value, and revenue to ride the wave of SMB adoption of SaaS solutions that are rapidly replacing paper, Excel, and legacy solutions. Learn more about the Orbital Shift employee scheduling software. Learn more about Orbital Shift customers and their experience. Looking for an exciting place to work in a dynamic startup environment? Orbital Shift is hiring and is an Equal Opportunity Employer.